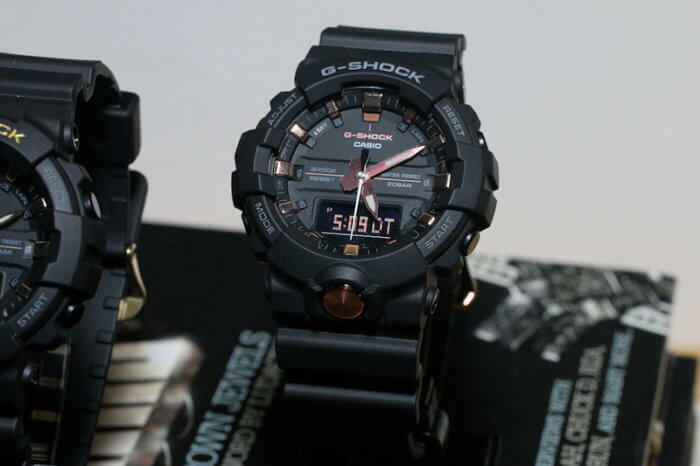 Following the recent DW5600MW-7, Macys.com has two more G-Shock models in stock and available for sale before their release in Japan. 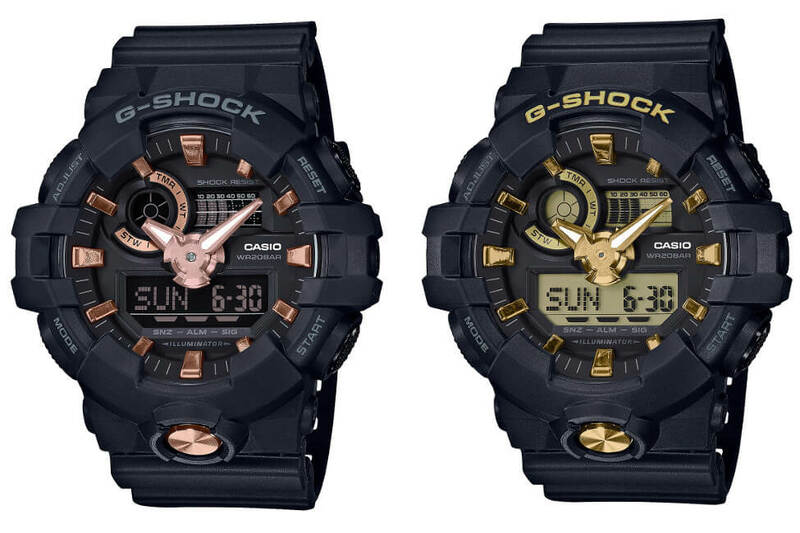 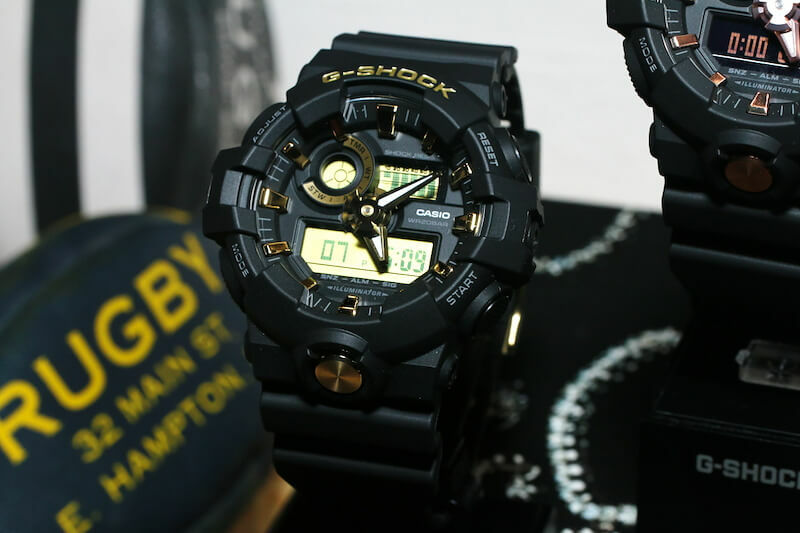 The GA710B-1A4 and GA710B-1A9 are part of a black and gold street-style series expected in May. 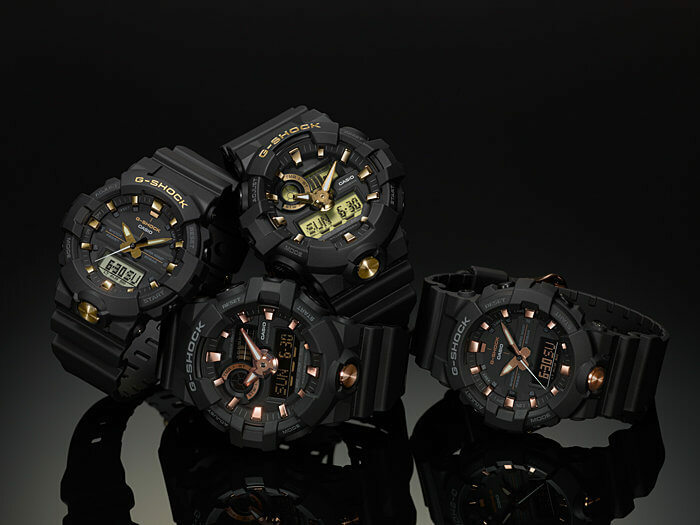 These models have a metallic-style index, hands, and front light button in a rose gold or yellow gold color. The A4 rose gold models have an inverted LCD display with a rose gold tint and the A9 gold models have a standard LCD display with a gold tint. 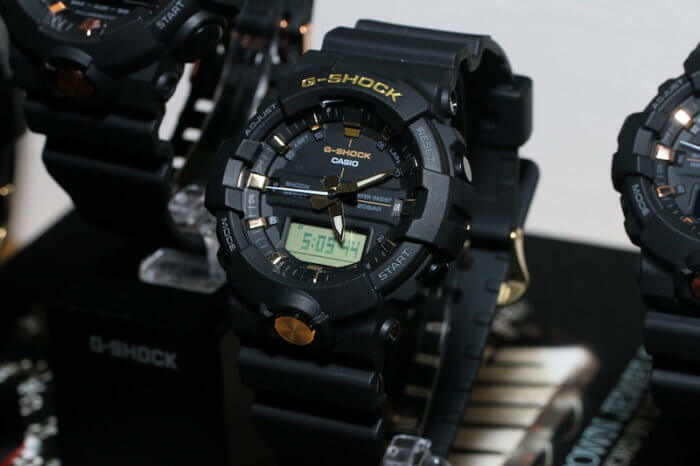 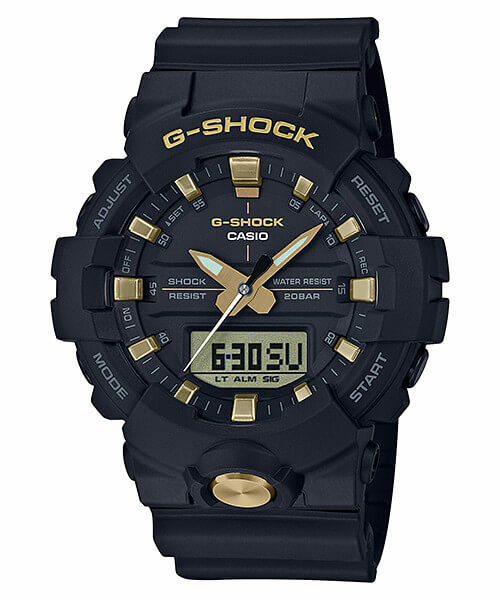 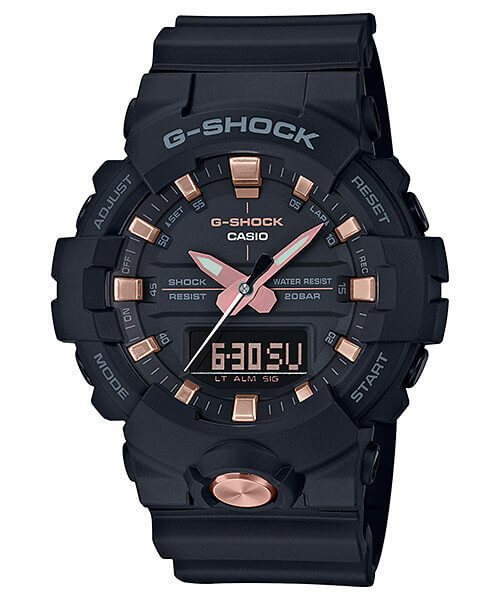 The GA-710B series has an estimated 5-year battery life which is the longest for a non-solar analog G-Shock model, with a list price of $130 USD each. 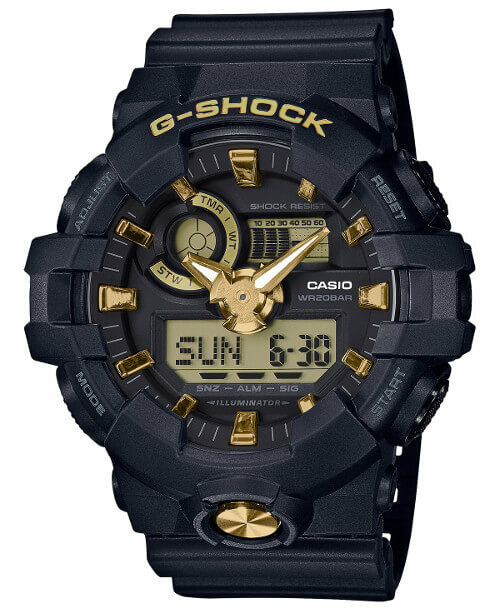 This black and gold series will also include the GA-810B-1A4 and GA-810B-1A9 which are three-handed analog models featuring advanced stopwatch features like a dedicated one-press start button and a 120-record lap memory. 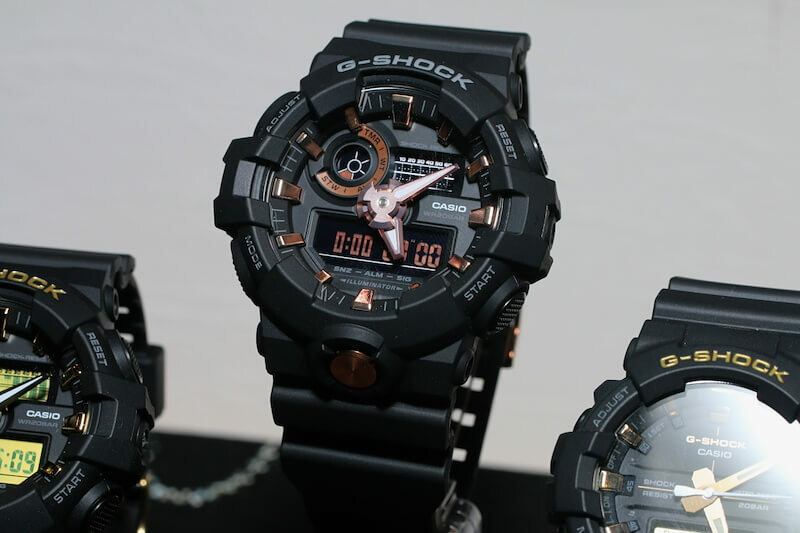 Update: The GA-710B-1A4, GA-710B-1A9, GA-810B-1A4, and GA-810B-1A9 are also May 2018 releases in Japan and Asia. Update 2: Casio America officially announced the GA710B-1A4, GA710B-1A9, GA810B-1A4, and GA810B-1A9 as the Gold Accents Collection for June 2018 with a list price of $130 USD each.